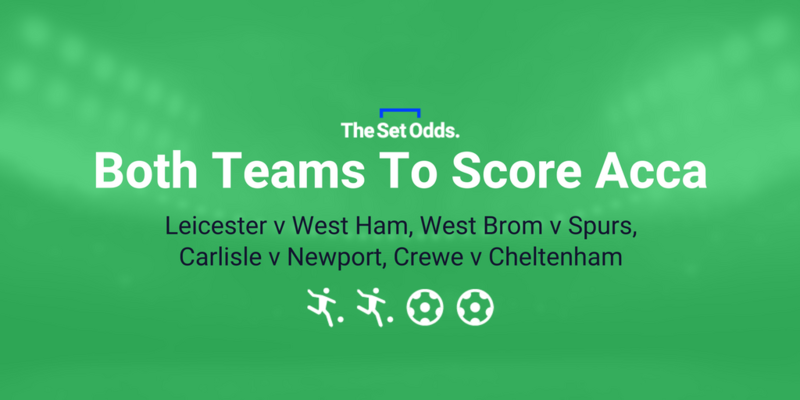 This is the last weekend of the season where all four leagues are in action – and while things haven’t been going too well on the acca front lately we’re going to go for the juglar. Leagues One and Two come to an end on Saturday, and the conclusion of the regular Championship season is on Sunday. I’m off to Millwall to cheer on the mighty Aston Villa before the play-offs beckon. Wish me luck! Luck is something that wasn’t with us in midweek though as we were just one Real Madrid goal away from 5/1 and 11/1 winners. 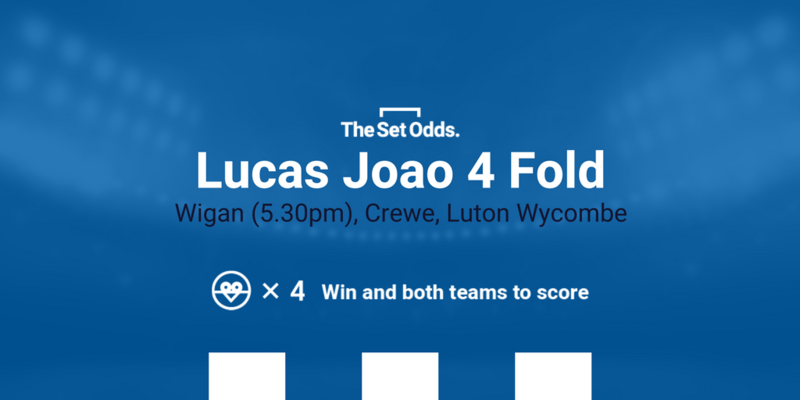 The 11/1 bet was both them and Liverpool to win and BTTS in some sort of Lucas Joao double. The Reds did the business on Wednesday but the Spanish giants couldn’t, and didn’t need to, find a winner against Bayern on Tuesday, drawing 2-2 and going through. The Germans were the better side in the match and if anyone was going to grab one it was them. Anyhow, the Champions League is on the back burner for a few weeks and it’s all about the EFL this weekend. Wigan travel to Doncaster needing just a point to clinch the League One title – unless Blackburn score about 20 at home to Oxford – but I think the Latics will notch all three points. Rovers will want to go out on a high, too, having achieved promotion back to League One at the first time of asking, and should see off Oxford fairly easily. I picked out Blackburn as 9/2 title winners in pre-season, but it looks like they’ll probably just miss out. My 6/1 bet on Charlton for promotion is still alive though. Southend have found some form at the back end of the season, refusing to succumb to being on the beach – despite having one one their doorstep – after putting together three consecutive wins. The Shrimpers have won 12 of their 22 home League games this season and lost just four, and they should make that 13 victories by brushing aside Bristol Rovers. 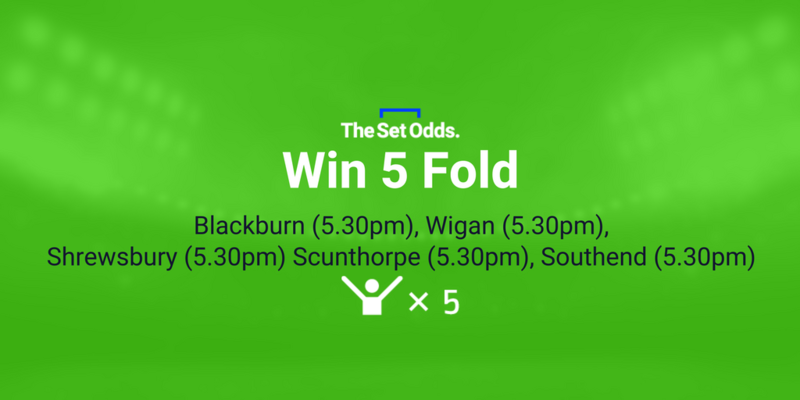 I also like the look of two teams guaranteed to be in the play-offs, Scunthorpe, who have won their last four on the bounce, and Shrewsbury, to win at home to Bradford and MK Dons respectively to complete a 5.30 kick-off League One special Win 5fold. I’m also going for a League Two Mixed Multiple. Barnet need to beat already-relegated Chesterfield at home and then hope Morecambe lose at Coventry to stay up. It’s very much possible and I’m backing them to at least beat the Spireites after managing three wins in their last four to give them a great chance of avoiding the drop. The Premier League is a bit of a betting minefield at the moment with inconsistent results galore. About three weeks ago you would have put your house on Spurs going to West Brom and winning comfortably but Darren Moore has somehow made the Baggies hard to beat. They managed away wins at Man United and Newcastle and a home draw with Liverpool, so the 2/5 on Tottenham doesn’t appeal. That said, Spurs did fail to beat the Baggies at home, drawing 1-1 earlier in the season, so perhaps they would be one to avoid anyway. 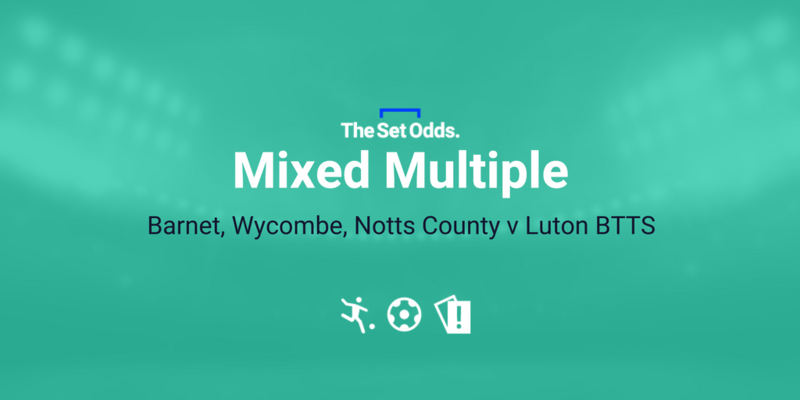 The Lucas is dominated by three League Two teams on Saturday, Crewe, Wycombe, and Luton – who I tipped at 8/1 to win the league, but they have narrowly missed out. If that trio are all victorious it’ll be down to Wigan in the 5.30pm kick-off to win while conceding to seal another famous three-figure winner. Keep an eye on The Set Odds Twitter account, too. I will tweet out some Championship bets ahead of Sunday’s climax, which sees Fulham and Cardiff going for the final automatic promotion spot, and two of Bolton, Burton, Barnsley, Birmingham and Reading still have a chance of going down. Sunderland – who I tipped for relegation in pre-season at the huge price of 14/1 – are of course already down, and Wolves, who I put up at 9/2 for promotion, have clinched the title. I have also since landed another bet on Wolves. Remember back in October I tipped up Wolves to win the Championship with a huge +10 handicap at 4/1? It looked like printing money then, and it proved to be the case! Happy days!